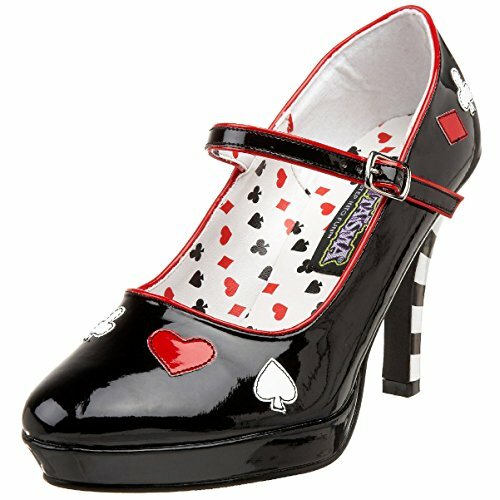 Playing card costume: Joker. Includes a primary-colored tunic, matching pants, jester shoe covers, and jester headpiece. Jack of Hearts t-shirt. Dress up easily! Set of two pairs of over the knee stockings, with a different card suit print. Black sceptre, made of plastic, with red and gold ornate topper. 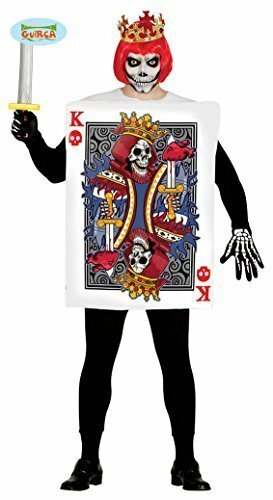 Scull King of Hearts playing card costume. Perfect for Halloween!